So what happened with all the plans to sell it? Work kinda screwed those plans up. Was going to get an allowance and be on the road full time, but now i just got an okay raise and am stuck in the office half the time - so no allowance to justify or afford a new truck. Will probably keep it until the end of this year at this point. Getting a new job soon, that will get me back into new-truck world. I've always liked those wheels on there. Truck looks really good man. Like Geoff I am fond of those Centerlines on it. I can't stop looking at this picture. You are making me have bad thoughts about what to do to mine. Looks good Brandon, seems like a fun time! I've had the same thoughts...it doesn't get easier lol. Thanks guys, these wheels are my favorite cut. Ill keep em even if Im not running em - although I plan to run em on the next truck. Love that pic. Need to polish wheels so bad. Keep yours dropped! If not, this is a good budget friendly option. Was a blast. Would go again. Love that pic. Need to polish wheels so bad. Keep yours dropped! If not, this is a good budget friendly option.. I am so torn because I like it low, but miss the carefree feeling of driving something lifted. I am always so worried I will mess this truck up somehow. After seeing your pics I definitely am entertaining the thought for later down the road. I plan to keep this truck for a long time, so maybe when I am tired of being low I can go up. Itd look amazing on an 06-07 Silvy CC. About half the time I wish I woulda gone for that front end instead of GMC. Bump, what's polishing process did you do on the snipers? That process has saved several sets of billet wheels for me that were TRASHED. If you maintain them by hitting them with a light polish and good seal then a heavy polish will last well over a year. I am mega guilty of not maintaining mine right now, its bad. Soon enough ill work em out though. Fav 4wd on forum now. Love the Stingray's! It is 2wd lol. And nice polishing process, gonna refer back to that if I ever get polished wheels. 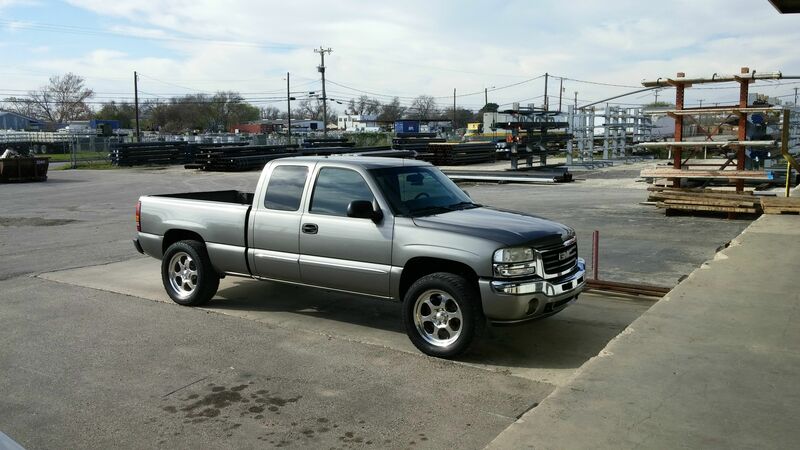 This ones for sale too, transmission is blown, located in Coppell, TX, let me know if youre interested.